Accessed by a high speed quad chairlift that reaches an elevation of 8,540 feet on the south slope of Mt. Hood, the Palmer Snowfield is THE place for summer skiing and snowboarding in the United States. Make some turns in the sun, improve your skills, and check out all the action happening on the snowfield. 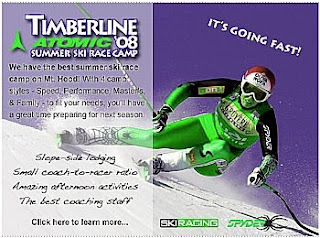 Some of the largest summer snow camps in the world, including High Cascade Snowboard Camp, Windell's, and others call Timberline their home in the summer. You may even see some professional athletes training for the upcoming winter! Considering the high price of gasoline these days, managers at Timberline Lodge have partnered with the Clackamas County Tourism Development Council to offer free gasoline to summer visitors on extended stays. The promotion is called "Tanks for Coming!" Simply book a 2 night reservation at Timberline Lodge or our Lodge at Government Camp between now and September 7th, 2008, and we'll pay for your gas! Guests on 2 night stays will receive a $30 gas card, good at any Fred Meyer gas station. And don't forget to say Hello to Bruno ! 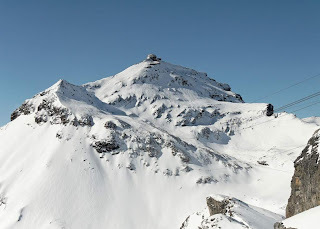 The Grande Motte glacier at Tignes is open with 5 pistes available. The Pissaillas glacier at Val d'Isere will open for summer skiing this Saturday 28th June 2008. At Les Deux Alpes all of the summer green access provided on 20 open lifts. There are 7 lifts open at Zermatt as of Thursday providing access to 6 open pistes, including 2 blue runs and 4 red runs. Less settled here. Saas Fee is now closed for the winter season. 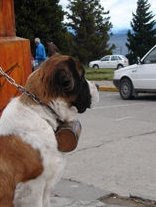 They are hoping to open for the summer ski season on 5th July. In Italy, where fine and sunny weather should continue, The Grawand, Finail and Gletschersee pistes are open at Val Senales. Passo Tonale the Presena Glacier offers two red runs, Paradiso and Destra, along with the Sinistra black run. Cervinia is scheduled to stay open for summer snowsports until 5th July. It has been a cloudy wet week across Austria and this is set to continue until Saturday, apart from at Stubai where sunny weather will arrive on Friday. Stubai has reduced their open area to 2km on Thursday and wet conditions are to be found underfoot. Similar heavy conditions are also reported at Kaprun where just 5km of pistes are open. The best ski conditions are reported on the Molltal Glacier which has 9km of pistes open. Lower temperatures and an excellent piste depth have kept the snow firm. La Parva reports the deepest snow base of the Three Valleys resorts and has excellent snow conditions following 35cm of new snow falling in the last week bringing the total on the upper slopes to three metres already. The skies have clouded over although some sun is forecast to break through as we head into the weekend. It should remain dry here all week, with temperatures a little higher. El Colorado has great riding conditions with over a metre of snow covering the 55 open pistes. A combination of sunny and cloudy spells is forecast over the weekend, with heavier clouds next week that could deliver further snowfalls. Although Valle Nevado with just 70cm reports the shallowest snow base of the Three Valleys resorts, the skiing is still great. Unfortunately the snowpark and half-pipe are still closed. Overcast skies on Thursday will thin out on Friday and some sun will shine through over the weekend. Portillo offers excellent riding after receiving more than 60cm of fresh snow over the last week. The weather is forecast to be a mixture of sunny and cloudy spells for most of the weekend. Termas de Chillan has an average snow depth of just 15cm but 7 pistes are open with access provided on 6 lifts. The weather over the weekend is expected to be a mixture of sun and cloud Chapa Verde is not yet open for their winter season. In Argentina, the upper slopes of Las Lenas have close to 4m of snow which is remarkable so early in the season. Fine, apart from light snow on Monday and Tuesday. 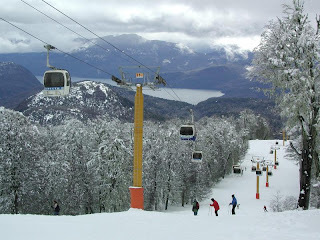 Cerro Catedral and Chapelco are yet to open for the season and snow is expected to fall on Thursday at Cerro Catedral.